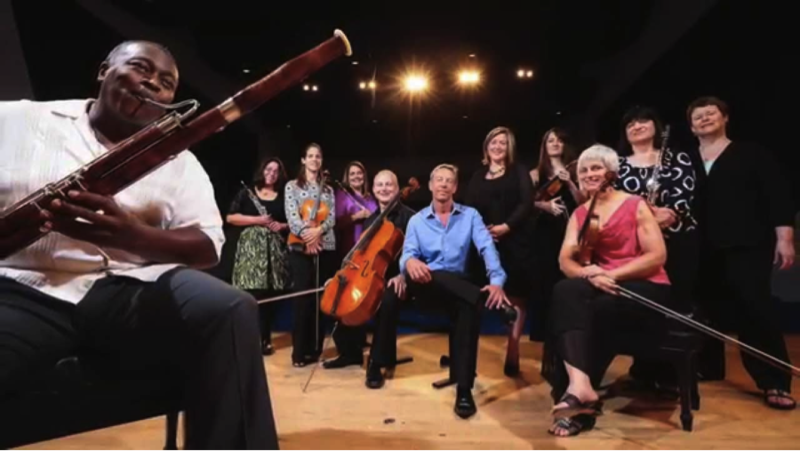 For 25 years, Summerfest has been enriching the lives of Kansas City’s classical music fans with performances by Kansas City’s best chamber musicians and guest artists from around the world. The four-week extravaganza begins with a Chamber Music Concert July 11th at White Recital Hall and culminates with a program July 25th that will feature the original 13-musician version of Copland’s Appalachian Spring, Bach’s Fifth Brandenburg Concerto, and a performance of Walton’s Façade. The five musicians who founded series, flutist Lamar Hunt Jr, harpist Deborah Wells-Clark, bassoonist Nancy Lutes, harpsichordist Rebecca Bell, and Violinist Mary Grant, never envisioned that Summerfest would last as long as it has. Instead, the idea originated as a way for the musicians to remain in Kansas City for the Summer. We were looking to stay here in the summers,” said Mary Grant “and we realized that there was no other classical music in the summer. The symphony has a break, the opera has a break and the Friends of Chamber Music has a break, so we thought, oh, there’s certainly room for a summer music group here.” Still, the event has come a long way since its humble beginnings, adopting more and more serious works over the years. “It’s true we got more ambitious, in programming bigger, more significant, ‘heavier’ works in the past 10 years,” said Alexander East, KC Symphony cellist, and a Summerfest artistic advisor. “And I think our audience has responded well to that. Great Performances – Check These Guys Out!